On the 30th of September, the city of Maribor (Slovenia) will traditionally open the Old Vine Festival with the harvest of the oldest vine in the world. Lively events will take place all the way into mid-November when the Festival closes with the biggest St.Martin's Day in Slovenia. Wine, gastronomy, culture and entertainment are important parts of Styrian everyday. Wine-gastronomic events unveil the rich tradition of Maribor (Styrian capital) and its vicinity – with the 400-year-old Guinness record holder, the oldest vine in the world, at the forefront. The Old Vine Festival is a gastronomic and cultural tribute to the oldest vine in the world, which grows in Lent, the oldest part of Maribor. The Old Vine is the pride of Maribor, Styria and Slovenia. Thus, the events honour the history of the vine and celebrate this symbbol of Slovenian wine and persistence. In the heart of the old city center on Lent, the oldest vine in the world still grows in front of the Old Vine House. 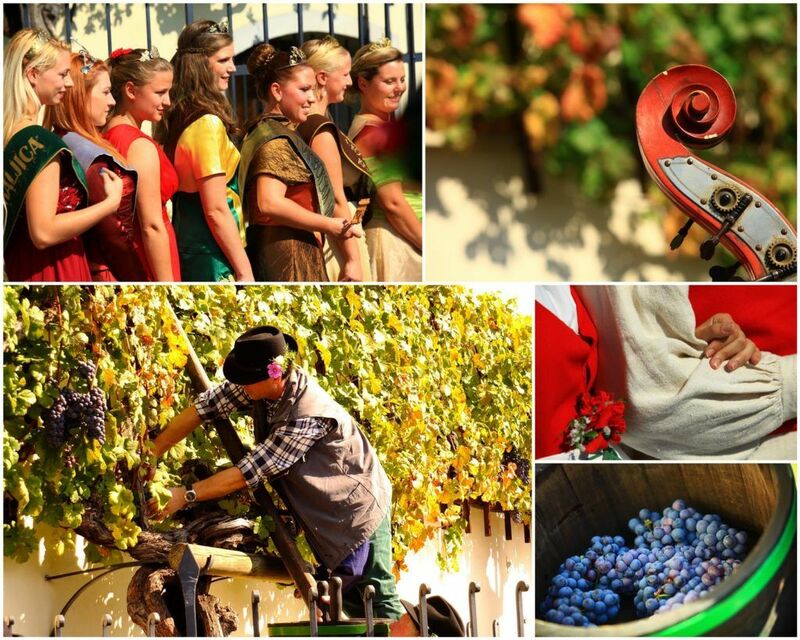 The 32nd Ceremonial Grape Harvest of the World’s Oldest Vine presents the first culmination of the Old Vine Festival and city holiday, which with its cultural and entertainment programme attracts numerous Maribor citizens and visitors from abroad to the city’s oldest part, Lent. The harvest will be held on the 30th of September in front of the Old Vine House. The whole Old Vine Festival offers visitors an opportunity to get to know the best Styrian and Slovenian winemakers, accompanied by an interesting entertainment program. As part of the Old Vine Festival, many events will be held. 11 November: 35th Annual St.Martin’s Day Celebration (Trg Leona Štuklja Square) – the biggest one-day public celebration of St.Martin’s Da in Slovenia with rich wine and culinary offerings, the traditional christening of the must, and unforgettable entertainment. 12 November: Presentation of Young Wines – an event that announces the new vintage and gives symbolic closure to the Old Vine Festival. The city of Maribor truly offers a unique 6 week programme with numerous events so it is no surprise that it attracts many guests from Slovenia and all over the world who stay in Maribor longer and enjoy the hospitality that beautiful city offers also with amazing countryside at Pohorje.